From a humble beginning back in 1987, Keringat Group of Companies has emerged to become a prominent group with its core business in civil construction, property development and also project management. We have succeeded in our own field and diversified into conglomerate with varied strengths and competence. Keringat Group of Companies constantly seeks to enhance its status as a premier development and property construction firm, capable of providing quality services and realizing various projects. We always maintain ourselves at the forefront of new technologies and be the pioneer of innovative concepts in the traditional fields of civil engineering and construction. We are obliged to provide efficient and effective service to our customers, as well as the community at large. In Keringat Group of Companies, we do not compromise on quality and value. We strongly believe it is through providing exceptional quality and great values that we are able to sustain our growth and to face oncoming challenges. Keringat Sdn Bhd (159585-H) being the pioneer firm in the group, started operation in 1987 as a building and civil works contractor and have since participated in various large and small sized building and civil work construction in the private development section, with a contract sum of exceeding RM 500 million. Member of MBAM ( Master Builders Association Malaysia) since 1997. Developer’s License No: 9994-3/12-2017/02989(L) | Advertising & Sales Permit No: 9994-3/12-2017/02989(P) | Validity Date: 05/12/2016 - 04/12/2017 | Approving Authority: Majlis Perbandaran Ampang Jaya | Building Plan No: MPAJ.BS.KB.740-1/2-08/2014 | Expected Date of Completion : Phase 1 - December 2020 & Phase 2 - December 2020| Land Tenure: Leasehold 99 years (until 15 August 2105) | Land Encumbrances: Ambank (M) Berhad || Restrictions in interest of land: This land can only be transferred, leased or changed upon approval of the state authority. | Phase 1- 360 units (Min. RM611,000) (Max. 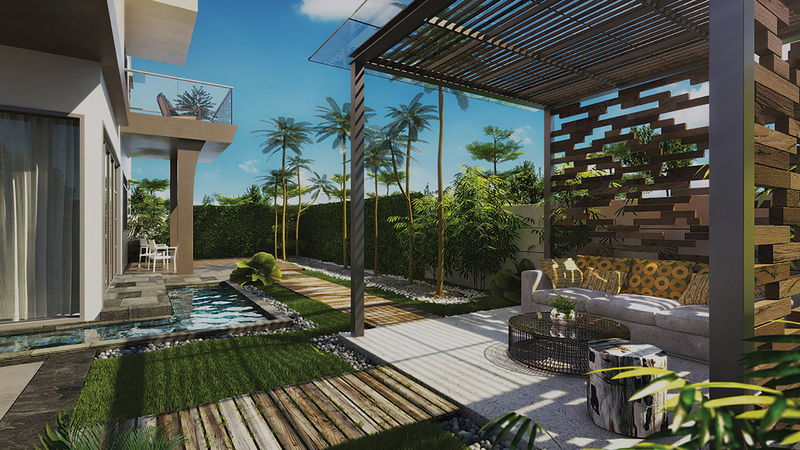 RM901,000) | Phase 2 - 300units (Min. RM759,000) (Max. RM974,000) | 7% Discount for Bumiputra | *Terms & Conditions Apply. Disclaimer: The information contained herein is subject to change and cannot form part of an offer or contract. All renderings are artist’s impression only. All measurements are approximate. While every reasonable care has been taken in preparing this artwork, the land owner, developer, or any associated parties cannot be held responsible for any inaccuracy. All the items are subject to variations, modifications and substitutions as may be required by the Authorities or recommended by the Architect or Engineer.